A great little bag for sleepovers, travel or just safekeeping. 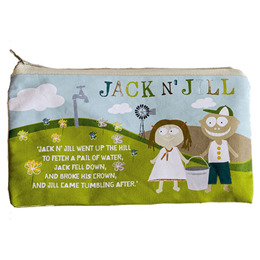 Made from pure cotton with a water resistant lining. This is big enough for a couple of Jack N` Jill tubes plus a toothbrush or two. Below are reviews of Jack N` Jill Sleepover Bag by bodykind customers. If you have tried this product we'd love to hear what you think so please leave a review.